As you may well know, one of my greatest inspirations when writing is the art of the long 18th century. 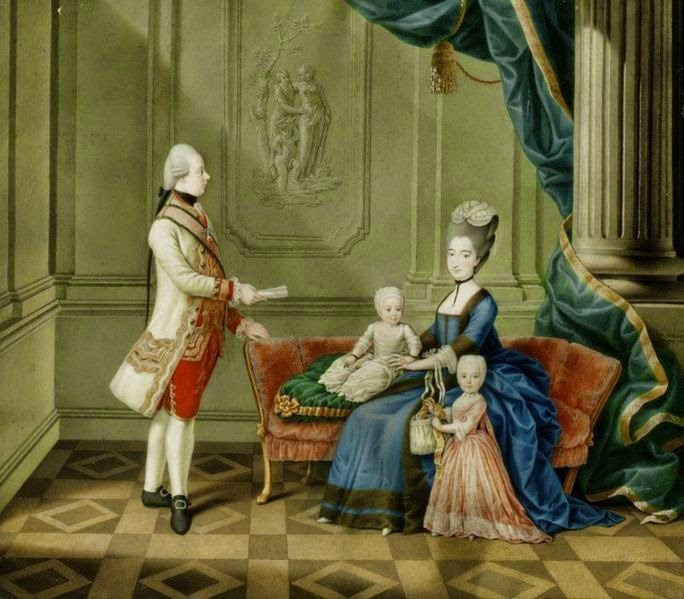 I can happily lose myself in paintings, illustrations and cartoons for many long hours and it was a pastel by Jean-Étienne Liotard that inspired me to write about Ferdinand, Duke of Breisgau, today. Something about the simplicity of the illustration above really spoke to me and for that reason, I decided to share a little more about the Duke. 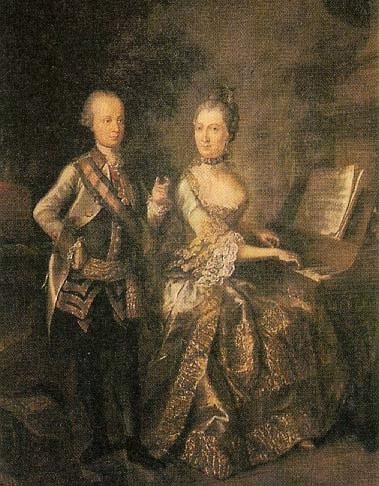 Ferdinand was born the son of our old friends, Francis I and his wife, Maria Theresa of Austria and at his birth he was named as heir to the Duchies of Modena and Reggio. However, the onset of war and the inevitable territorial negotiations that followed meant that Ferdinand would never reign over these hereditary lands. When the young boy was just nine years old it was agreed that his future bride would be Maria Beatrice d'Este. Four years his senior, Maria Beatrice was the daughter of Ercole III d'Este, Duke of Modena and Maria Teresa Cybo-Malaspina and considered a particularly good match thanks to the fact that she stood to inherit a large amount of territory. This marriage was, therefore, beneficial to both sides in terms of increasing the power and reach of the respective dynasties. The marriage took place in Milan on on 15th October 1771 among much rejoicing and rich, colourful festivities. The union was not unhappy and the couple had ten children, seven of whom survived to adulthood. At the age of just 17, Ferdinand was named Governor of the Duchy of Milan and he would later serve as Governor of Lombardy, though when Napoleon's forces marched into Milan in 1796, Ferdinand and his family fled before their advance. Years of territorial negotiation and bartering followed as Ferdinand strove to gain what he believed was his. Ferdinand took the title of Duke of Breisgau in 1803 yet was forced to cede the Duchy just two years later. He did aged 52 in 1805, and was buried in the Kapuzinerkirche in Vienna, the city that had become his home. It's a revealing painting - no physical contact between husband and wife and only the most casual contact between mother and children. A display of costume rather than of family affection. Sad. That's a fascinating reading of the painting and one I can absolutely understand; there is a very stiff formality to the look of it.